Mark your calendar for 1:00-3:00 PM on Saturday, March 11th. When spring is in full swing, birds are on the wing! Every year, millions of birds migrate incredible distances. How and why do they do it? Join Jessica Griffiths for an fascinating look at the phenomenon of bird migration. Learn about the remarkable adaptations birds have for long-distance travel as we answer such questions as: How do birds know where to go? How do their bodies change to prepare for the journey? How many miles per gallon would a migrating warbler get? The presentation will touch on bird physiology and behavior, and will highlight the latest scientific research on migration. 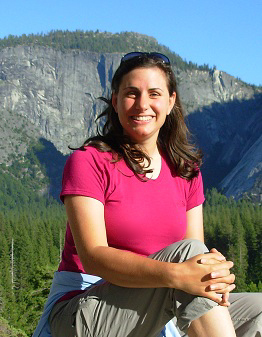 Jessica Griffiths has been working as a field biologist for over 15 years. She grew up in Chicago, and received her undergraduate degree at Wellesley College outside of Boston. She then spent the next few years traveling around the country working for non-profits and government agencies in 7 states with a focus on songbird ecology. She received her Masters at Cal Poly in San Luis Obispo, where she studied monarch butterflies. She currently works as a biologist for Althouse & Meade, Inc. She is also actively involved with Morro Coast Audubon Soceity, and leads bird walks year-round for birders of all ages. Sponsored by San Luis Obispo Botanical Garden. MCAS members get same entrance fee as SLOBG members: $5 (no ID required). Additional information is on the slobg.org website.